“Alone” is a relative term in a city of 8.2 million people. And while your four-bedroom Crown Heights apartment may have a private balcony (read: fire escape), it can be tough to find quality alone time in New York. Existing at the center of a crowd is exhausting. Even amid Gotham’s madness, the city gifts us ways to find some precious solitude -- without retreating to your questionable Craigslist couch. So in the interest of helping you pay yourself some well-deserved attention, while avoiding your roommate and her Ashanti/Ja Rule cover band, we’ve compiled a guide to navigating (and actually enjoying) New York City, all by your lonesome. 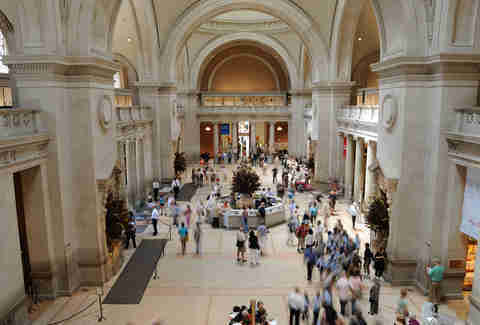 While fighting throngs of camera-wielding tourists to glimpse the top right corner of a Georgia O’Keefe painting may be a quintessential New York experience, there are, in fact, better ways to experience The Met. Namely, the museum’s late weekend hours. On Fridays and Saturdays, you can browse the galleries until 9pm, when the tourists and middle-school field trips have cleared out. Move at your own pace -- you don’t have anyone to keep up with. It’s better than sitting across from an empty chair. Take a seat at the bar at one of the city’s many established bar-food eateries. 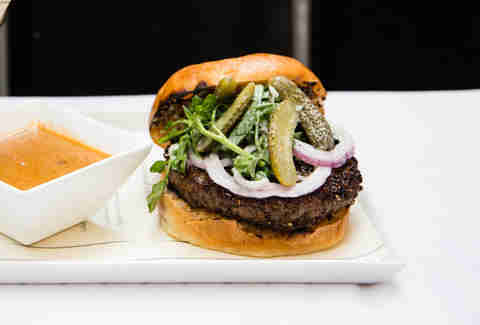 For instance, Raoul’s, where only bar-seated guests are permitted to order the renowned Raoul’s burger (of which only 30 are made per night), or Kazunori, the hand-roll-focused outpost of Sugarfish, where bar seating is the only option. You’d be hard-pressed to find another place in New York as silent as the Schwarzman Building. Much of the space is off-limits if you’re not on a sanctioned tour, so it’s worth visiting with a guide. You’ll get the chance to wander through archives of old periodicals, rows of wizened study carrels, and best of all, the glorious Rose Main Reading Room. 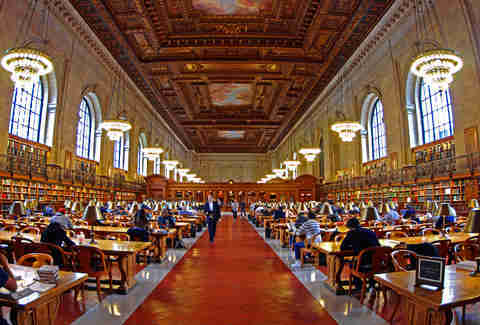 The space is so hushed, it’s probably best that you attend on your own (social whispering is heavily frowned upon). Rather than sip Keurig coffee in your closet-sized apartment, visit one of New York’s local roasteries for a coffee-cupping workshop. Sessions typically take place a few times a month, led by resident experts at vendors like Blue Bottle, Birch, and Toby’s Estate. 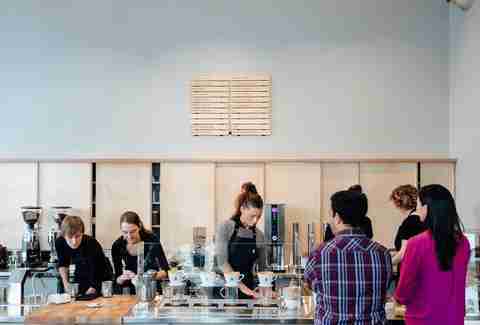 They’ll walk you through their methods for roasting, grinding and preparing coffee and espresso drinks -- offering you plenty of free samples along the way. Whether you’re a novice or a grand master, you’ll find a willing opponent in Washington Square Park. 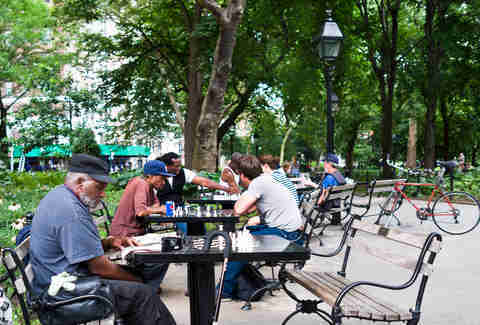 Rain or shine, the city’s most dedicated (undeclared) chess players hunker at the park’s chess-board tables every day to await willing challengers. They’ll have the pieces laid out -- so all you have to do is show up. Biking with other people is a hassle on bike lanes as wide as most walk-up hallways. 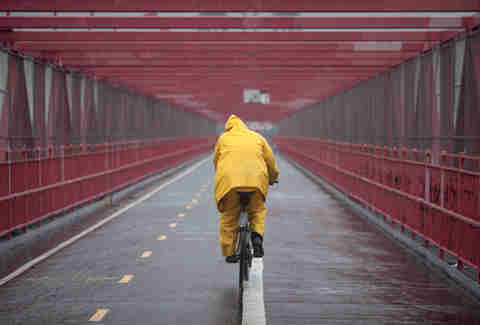 Rather than holler directions over your shoulder while speeding single-file through a taxi-choked intersection, take a solo ride across one of the city’s many bridges. 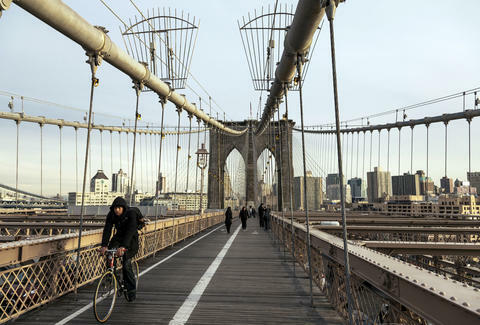 We recommend avoiding the Brooklyn Bridge at all costs (the bike lane is just as pedestrian-congested as most Midtown sidewalks), but a ride across the Williamsburg or Manhattan Bridge should be plenty clear. Rather than visit any old AMC cinema, hit one of the city’s several independent theaters. Head to Nitehawk or The Alamo if you’d like to order a burger and an Old Fashioned directly to your seat, or make your way to Metrograph if you’re looking for an expansive film library. For revivals, hit Film Forum; for French films, visit the French Institute; and for a bare-bones popcorn-free movie experience, we recommend Anthology (which is typically populated with solo cinephiles). If you’re opposed to eating solo, you may be slightly more comfortable harvesting food on your own. 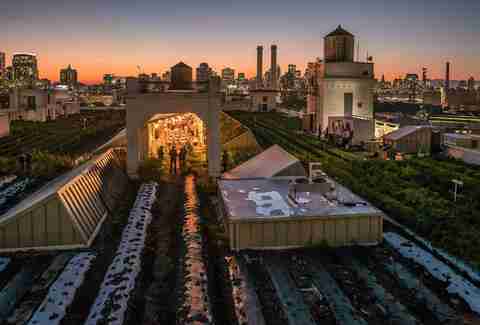 While New York is not exactly overrun with farmland, it does rock a pretty respectable spread of rooftop gardens, greenhouses, and urban farms, most of which are open to volunteers. Brooklyn Grange, which is stationed atop a warehouse building in the Navy Yard, is the largest in the city, and offers courses in everything from pickling to beekeeping. On a smaller scale, places like Red Hook Community Farm, Eagle Street Rooftop Farm and Hell’s Kitchen Farm Project allow you to pitch in or just buy some fresh produce. Sure, it’s nice to have friends around for a second opinion while shopping for clothes, but in reality, loitering in fitting rooms and offering “constructive” opinions on heinous second-hand overalls is more exhausting than enjoyable. If you’re not looking to blow your month’s rent on socks from Opening Ceremony, however, take yourself on a trip to Williamsburg, where you can shop at an impressive number of thrift stores. Hit Beacon’s Closet, Buffalo Exchange, and Awoke Vintage for some of the best finds (at the lowest price point). 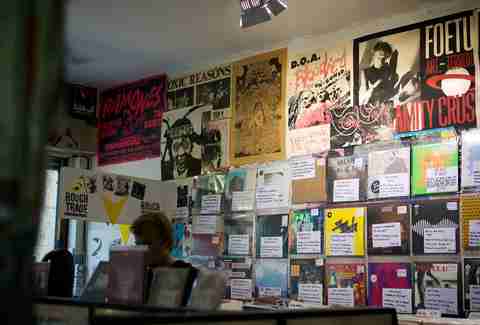 And if you’re looking for records, Rough Trade is far-and-above the best place to go -- while you shop, you can listen to as much vinyl as you like on the headphones around the store. Not for the faint of heart, Sleep No More is an immersive theatrical reconception of Macbeth set in Chelsea’s McKittrick Hotel. You’ll be expected to follow mysterious characters, explore eerie environments, and wander in and out of scenes -- all while wearing a mask and remaining mute. Stumble upon a woman shivering in a bathtub, a lovers’ quarrel, or a blood-soaked murder scene -- and more often than not, find yourself face-to-face with the actors. You’ll likely be separated from your friends upon arrival regardless, so you may as well come alone. Yoga isn’t for everyone... unless it’s a Drake-themed yoga class. And while everybody needs a little self-care in this city, it can be tough for those of us who find stretching and focusing on our breath, well, a little boring. Luckily, NYC has plenty of non-traditional yoga and meditation courses. If you’re into hip-hop yoga, Y7 Studio has it covered, if you’d prefer deep-house yoga, we suggest House of Yes, and if you’re looking for a wine-mixer-turned-yoga-course, book yourself a session at Hotel Henri. Trees: We all love ‘em to pieces. But green spaces like Central Park and the Brooklyn Botanic Gardens are often so congested with tourists and hard-at-work Instagram personalities, that it’s hard to feel as if they’re actually a respite from the city. 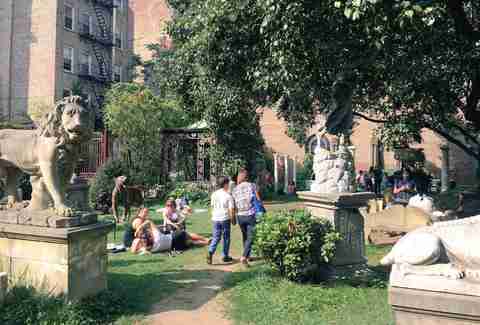 For some legitimate sanctuary (without actually leaving Manhattan) spend an afternoon wandering around the Elizabeth Street Garden, tucked just off Spring Street in SoHo. You’ll find antique sculptures, old park benches, and plenty of lifelong New Yorkers who’d rather not see their haven overrun (sorry). 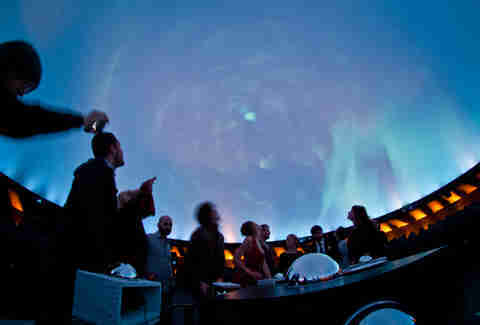 Hayden Planetarium | Flickr/Sara B.
It’s unlikely that you’ll desire any kind of company while reclining in a chair that can only be described as the La-Z-Boy of the future, and listening intently to Neil deGrasse Tyson narrate a mesmerizing theoretical space journey. The whole theatre, which is stationed in the Natural History Museum, is built to offer viewers an immersive experience, so by the time the show concludes, you might need a few minutes to re-adjust to Earth’s gravitational pull. Amazon be damned, New York is still home to scads of independently owned bookstores. 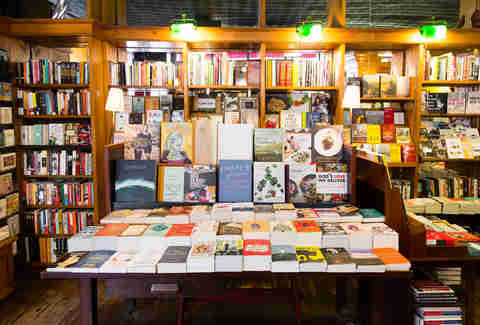 The Strand has by far the largest collection, while smaller shops like McNally Jackson and Blue Stockings offer cafe seating for those looking to buy a new book and hunker a while. If you’re planning to spend some time getting lost in the stacks, head to Three Lives in the West Village -- the books are arranged in no particular order, so as to encourage readers to stumble upon titles serendipitously. Eliza Dumais is a native New Yorker who has spent no time alone in 22 years. Follow her @elizadumais.